I'm a 52 year old family man with a wife, three children and a chocolate Labrador named Coco. My family is very important to me and without them I would not be the person I am today. I am a calm and patient man with a good sense of humor. I have lots of things I enjoy doing from watching films to walking Coco. I love the outdoors and the environment we live in and believe we all share a collective responsibility for it. My first love is driving and road safety which is why I became a government approved driving instructor. Since my early teens I have been driving anything with 4 wheels attached; from banger racing to Rayleigh driving, small vans to HGV class ones and even an electric milk float. I have driven in Europe and America but still consider the roads in the UK and Cornwall especially, to be one of the safest around. 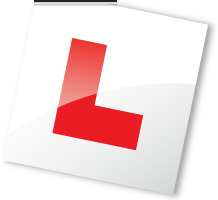 Getting your UK Driving License isn’t just about passing a driving test. I appreciate this is your ultimate goal but to achieve this with me as your instructor, I will actually teach you good decision making skills as well operating a car safely and within the safe parameters of the law. The learning process is your journey. I am here to help guide you along by teaching you the skills and knowledge needed to become a safe driver not just for your test but for your lifetime. Driving isn't just about getting into the car and going through the motions. It should be fun, enjoyable and lead you to a sense of freedom to explore places at your own pace and time. 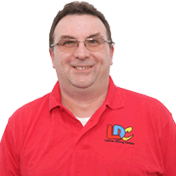 I chose to work with LDC because everybody is different and the LD system allows for flexibility in lessons so you learn to drive safely at a rate to suit you. I aim to make every lesson enjoyable and as productive as possible. The LD system just helps me to do this more effectively. Lessons are always conducted in a calm, friendly and relaxed manner, as I firmly believe in making pupils feel at ease during lessons. Well that’s a little bit about me and how I can help with your driving. Please feel free to "Contact me" about your driving needs.